Shinto festivals are community rites. 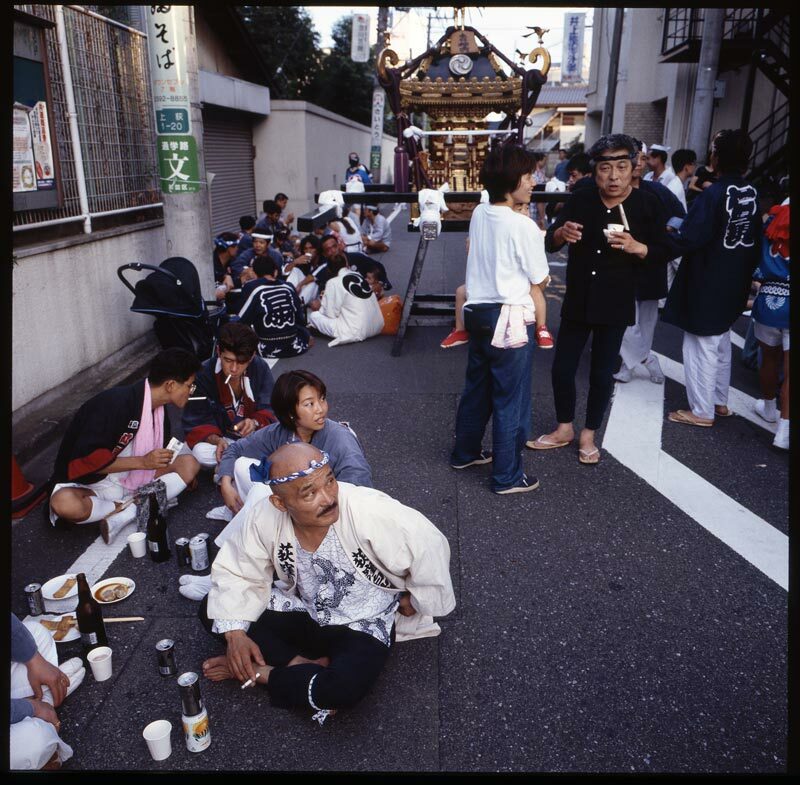 The god of the local shrine is transferred to a portable shrine, which is carried through the parish in an all-day event. Teams sing and dance while carrying their divine host. Along the way, these bearers stop for refreshment. There are no sermons. This is no proselytizing. The revelation is far more subtle, far more profound. The place, the people are sacred for this day and for every day that follows. Click on the image for a larger view.